Gwen Vaughan a ceramic artist is equally captivated by creatures great and small. Her quirky animals are captured with minimalistic features nevertheless they are very recognisable species. 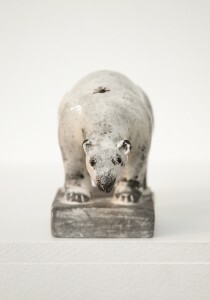 For her latest range she created cashmere jumpers for her figurines, making them softer to the touch. 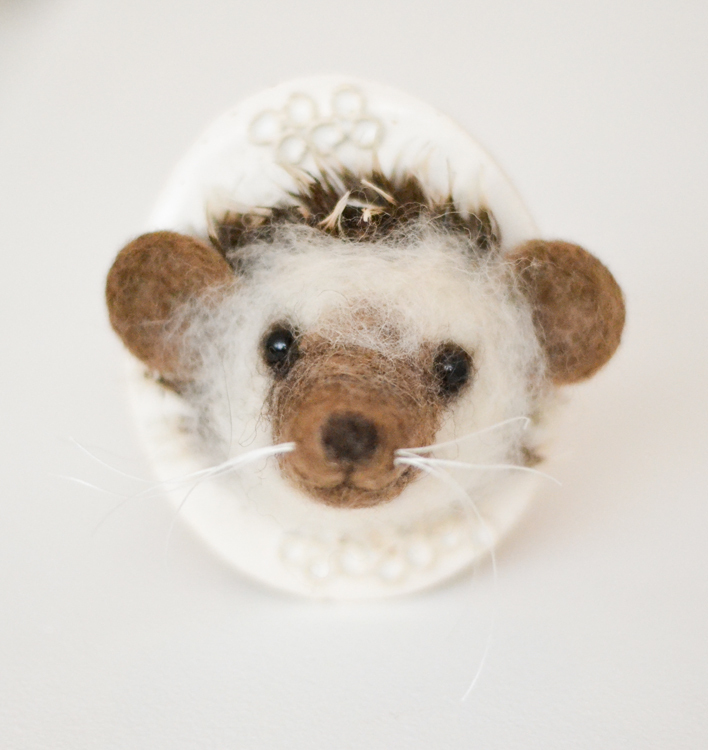 There are polar bears, whales, foxes, badgers, owls, dogs and of course little birds. 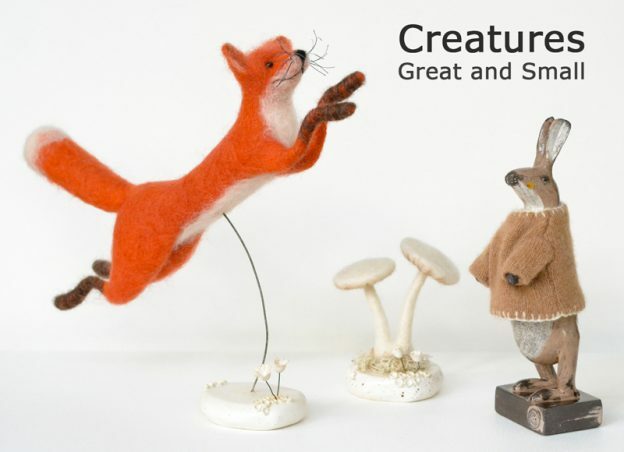 Each of her creatures cleverly conveys a element of the nature of each animal. Gwen’s wolf in a sheep’s coat is a beautiful example. The exhibition will run from 8th April to 23rd May 2017. The opening view will be held on Saturday 8th April from 3pm to 6pm, all are welcome. This entry was posted in Exhibitions, News Overview and tagged animals, exhibitions, Gwen Vaughan, tracey benton on January 13, 2017 by 45 Southside. Material: Glazed ceramic figures with gold detail. 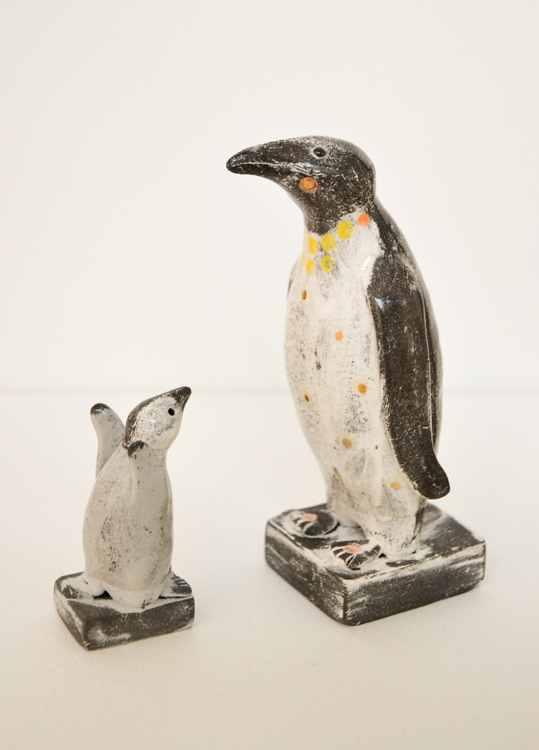 Measurements: Penguin, Hight 13.5 cm, Width 5.5 cm, Depth 5 cm. Measurements: Chick, Hight 6.5 cm, Width 2.5 cm, Depth 3 cm. 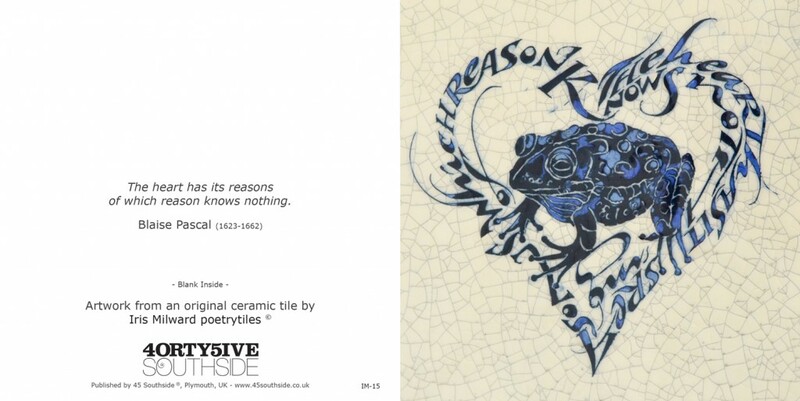 This entry was posted in Ceramics, Online Gallery Overview, Sculpture and tagged animals, Art, ceramics, gift idea, sculpture on March 30, 2016 by 45 Southside. Depth as a whole 14 cm. Also available to purchase with the Own Art scheme and 0% APR, contact us here at the gallery for more information. 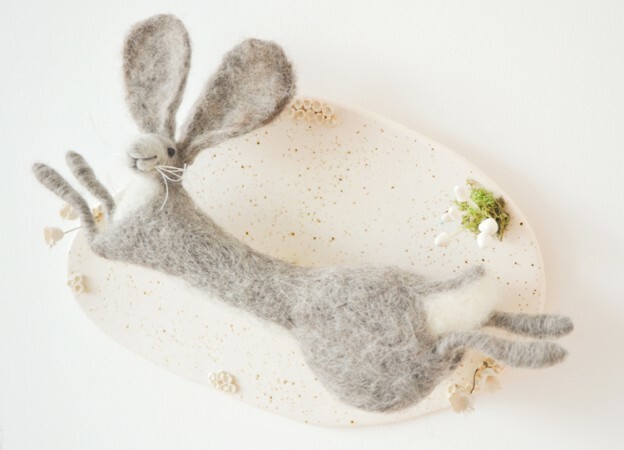 This entry was posted in Online Gallery Overview and tagged animals, Art, ceramics, Felt, Felt Work, Hare, Needle Felt Work, Running Hare, tracey benton, Wall Art on March 3, 2016 by 45 Southside. Dimensions: Hight 9.3 cm, Length 13.2 cm, Base 5.7 x 7.3 cm. 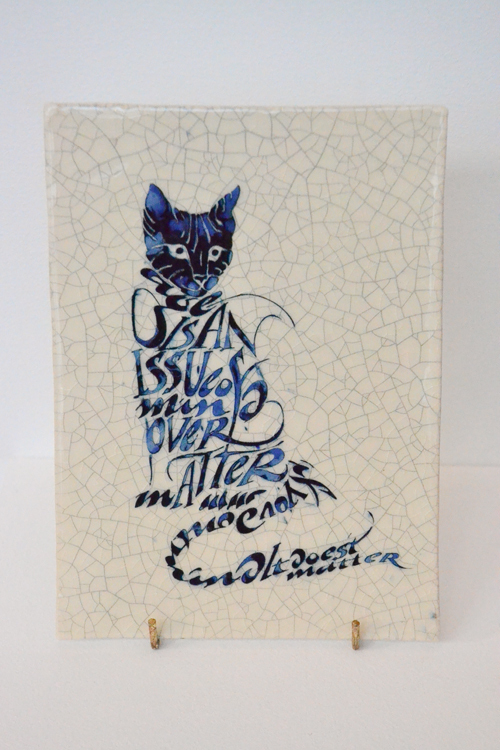 This entry was posted in Ceramics, Online Gallery Overview and tagged animals, Art, ceramics, gift idea, Gwen Vaughan on January 23, 2016 by 45 Southside. Quote “Age is an issue of mind over matter. If you dont mind, it doesn’t matter.” Mark Twain. 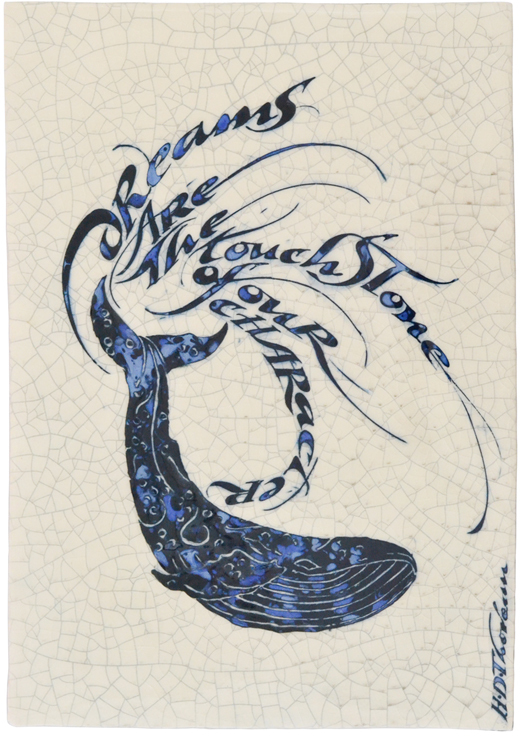 To view more work by Iris Milward , please click on the tag in the right column. 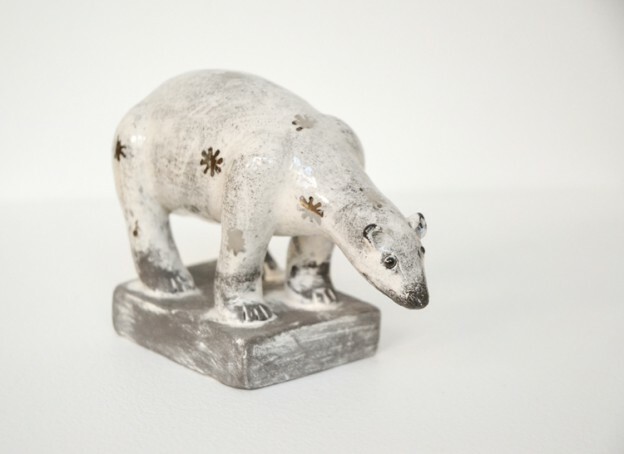 This entry was posted in Ceramics, Online Gallery Overview and tagged animals, Art, ceramics, gift idea, iris milward on January 7, 2016 by 45 Southside. 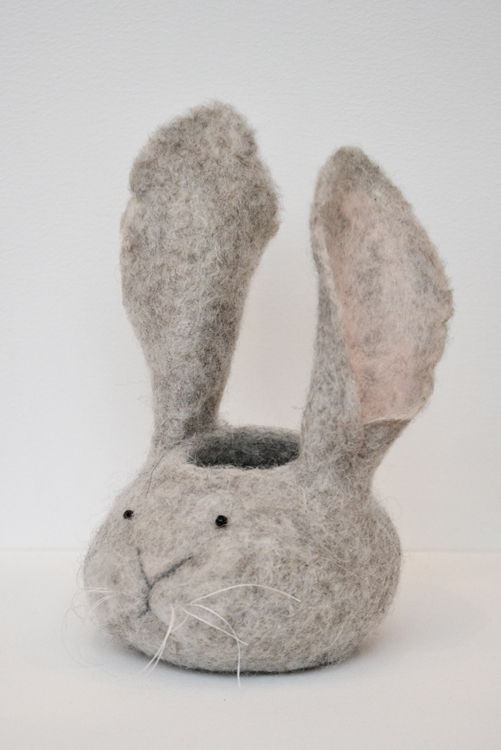 This entry was posted in Online Gallery Overview, textile and tagged animals, Art, gift idea, Hare Head Pot, Needle Felt Work, tracey benton on December 4, 2015 by 45 Southside. 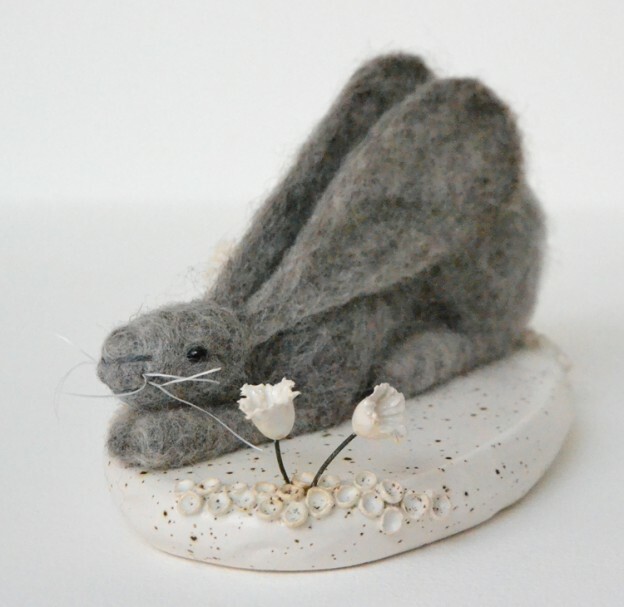 Material: Felted Wool, Beads, Ceramic Base & Wire. Measurements: Hight 8.4 cm. Base Size: L 14 cm, W 9.5. To view more work by Tracey Benton , please click on the tag in the right column. 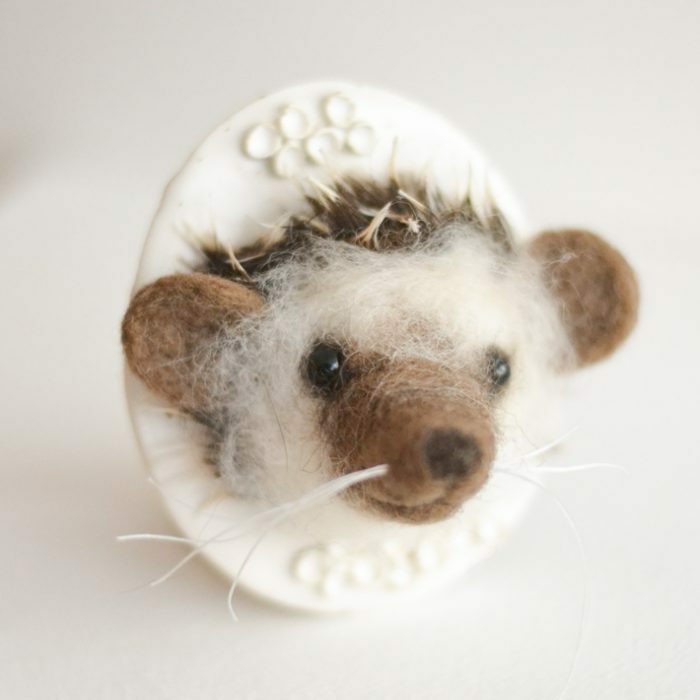 This entry was posted in Online Gallery Overview and tagged animals, Art, ceramics, Felt Work, gift idea, Tracy Benton on September 8, 2015 by 45 Southside. Material: Ceramic with glazed detail. 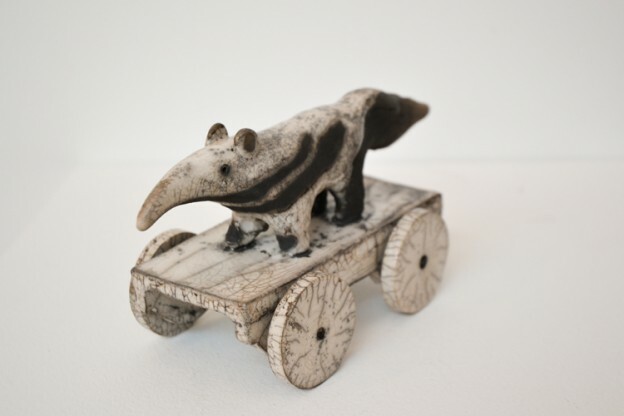 This entry was posted in Ceramics, Online Gallery Overview, Sculpture and tagged animals, Art, gift idea, Sarah McCormack, sculpture, Tapir on June 18, 2015 by 45 Southside.